As a sports business reporter/analyst, Kristi has reported on everything from collective bargaining to endorsements to the finances of pro and intercollegiate athletics for outlets such as ESPN, Forbes, Campus Insiders, Bleacher Report, SB Nation, The Motley Fool and Comcast Sports Southeast. 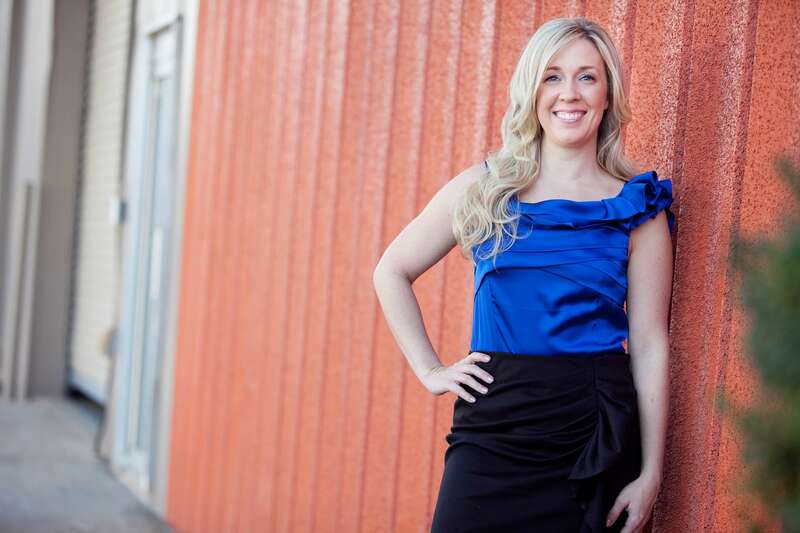 Kristi is also a consultant with College Sports Solutions, a collegiate athletics consulting firm, and the founder of Guide My Brand, where she serves as a publicist for busy entrepreneurs who want to establish themselves as experts. Prior to joining ESPN, Kristi was a practicing attorney and a sports business analyst for SportsMoney on Forbes.com, Comcast Sports Southeast, and The Pulse Network. She was also a frequent guest on national radio programming including The Tim Brando Show and multiple shows on Sirius/XM College Sports Nation. Kristi founded BusinessofCollegeSports.com, where she wrote until joining ESPN. The site has become a nationally-recognized source for news and analysis of the business of college sports. Professors around the country use content from BusinessofCollegeSports.com to teach courses in law, sports administration and sports management programs. So much college athletics financial analysis these days is agenda-based, with writers too often seeking marginalize or even demonize those who have different perspectives. However, Kristi Dosh, who bills herself as the SportsBizMiss, approaches her subject matter in an open, analytical and reasonable manner. . . . As a practicing attorney, Dosh knows her way around resources and is skilled at accumulating and displaying information that generally informs rather than inflames. All the while, she keeps the reading experience eclectic and enjoyable. 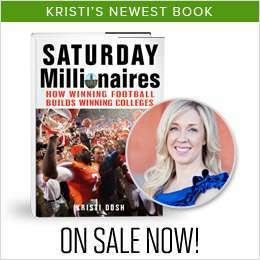 Kristi’s book on the business of college football, Saturday Millionaires: How Winning Football Builds Winning Colleges, was released from Wiley/Turner Publishing on September 10, 2013. Kristi is also a frequent guest lecturer in both undergraduate and graduate programs in sports management/administration. She holds a Bachelor of Arts in Politics from Oglethorpe University and a Juris Doctor from the University of Florida, Levin College of Law. Visit KristiDosh.com to learn more about Kristi, view her sports reporting for various outlets, inquire about booking her for a speaking engagement and more! And if you’re in need of a publicist, check out her publicity firm, Guide My Brand. Kristi is represented by Laura Bradford of Bradford Literary Agency for her book-length written work, and by Eric Winchel for her work in tv, radio and other written work.